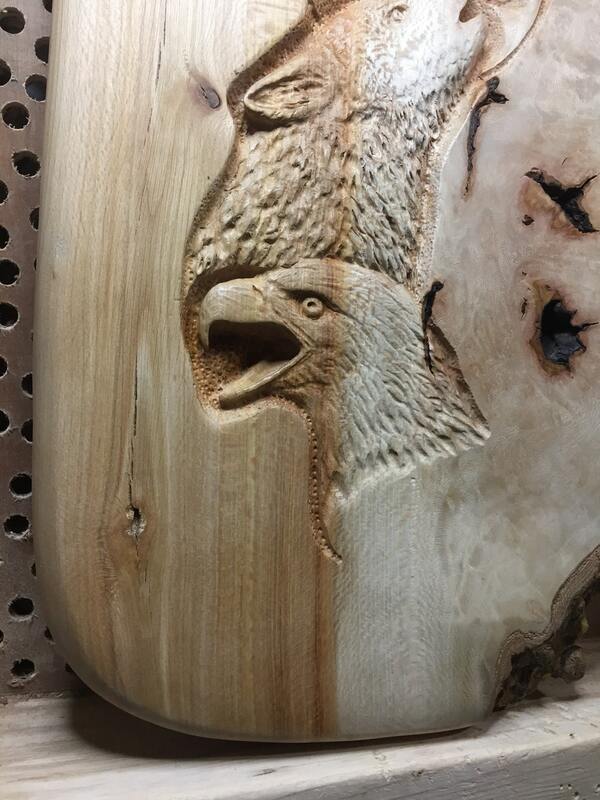 This is a wood carving depicting an eagle and wolf. It is a handmade woodworking, hand-carved by me, Josh Carte. 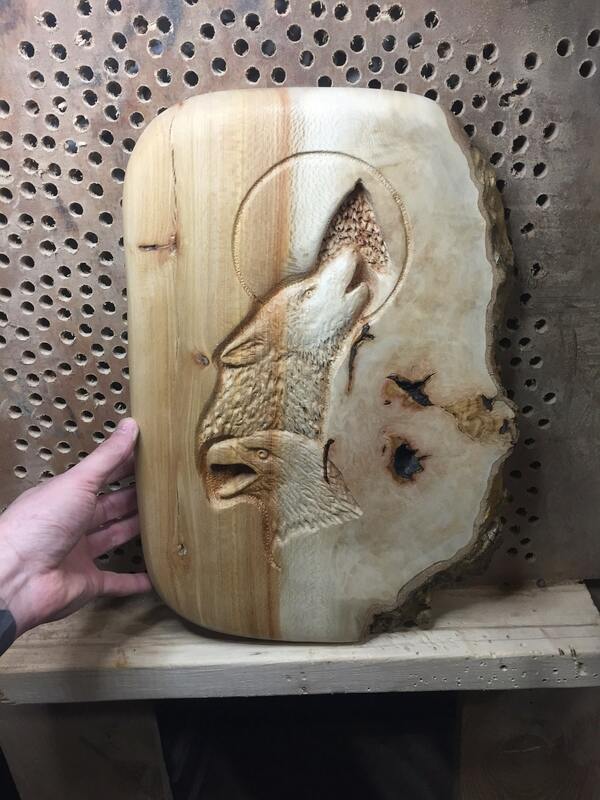 This sculpture will be perfect for a lodge or log home. This wood carving measures 16" tall, 11" wide and 1" thick. I hand carved this nature scene in a piece of Sycamore Burl. I used several different tools to make this sculpture. 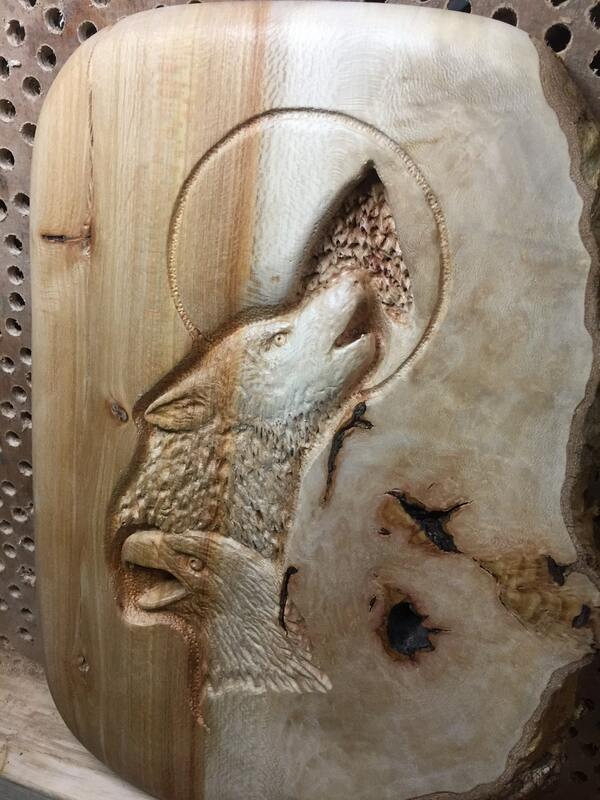 I began this carving with a rough Sycamore slab. 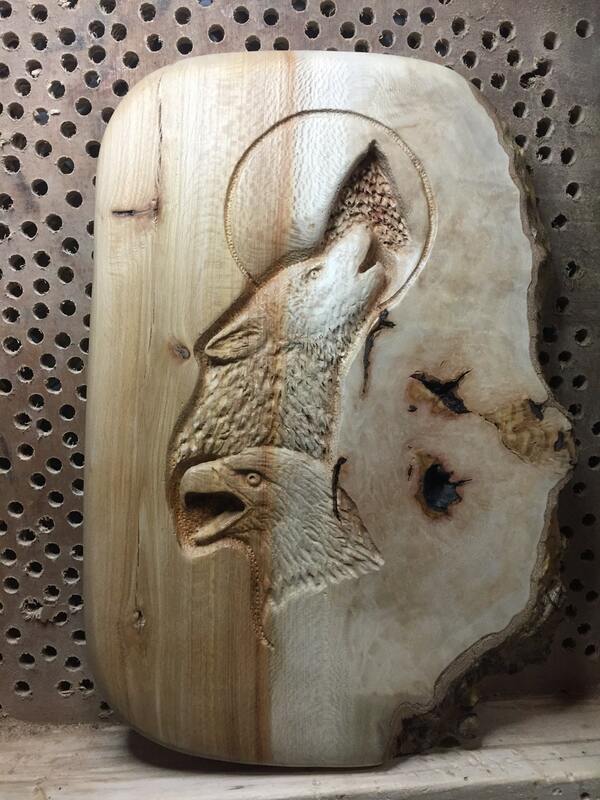 I sanded, shaped and manipulated this piece of wood to smoothness before I began the carved, nature scene. I carved in the scene using various bits in my Foredom, rotary carver. 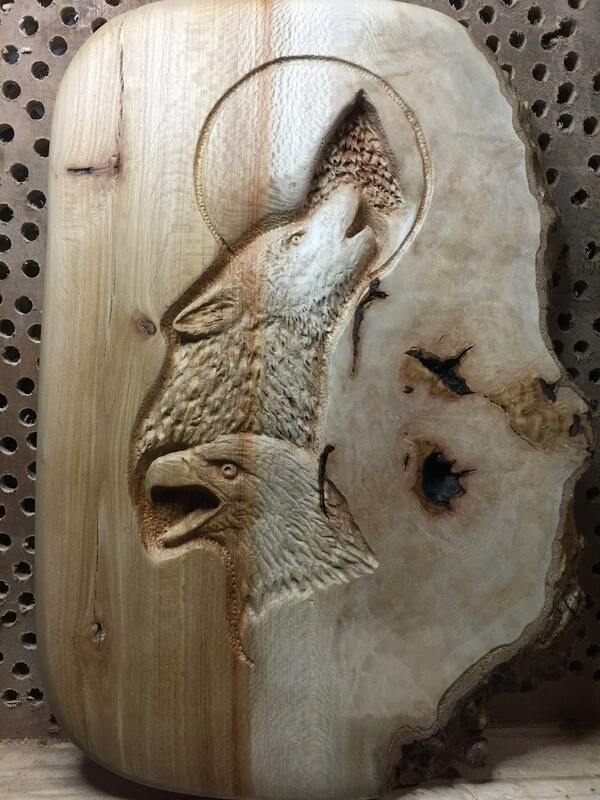 The eagle, wolf, tree and moon were all drawn and carved by my two hands. I sealed this piece using 3 coats of spray urethane. There are some voids and cracks to this piece of burl. Those, along with the natural edge, really gives this piece a lot of natural character.